HR Tech - Makes our Day! Tech Den is the HR Tech Summit’s flagship program – celebrating excellence in HR start-ups and entrepreneurship across Australia. 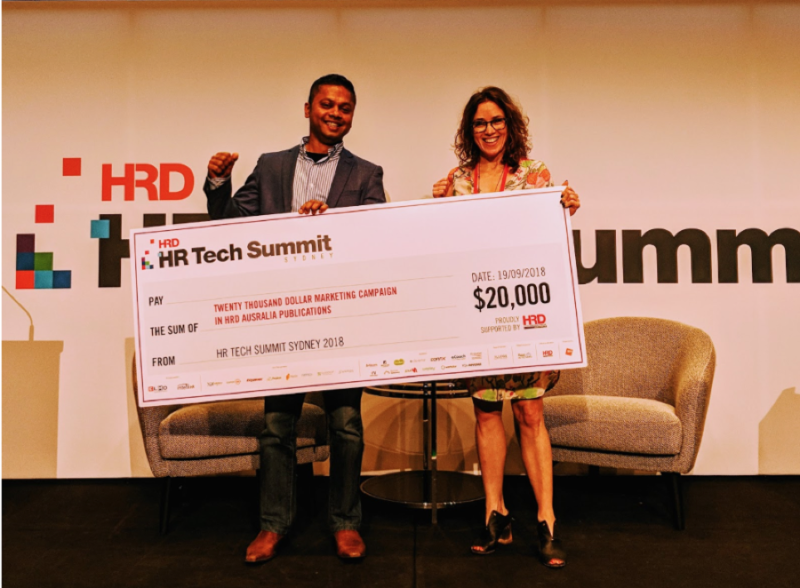 Vying for the ultimate prize, a $20k marketing campaign in HRD Australia publications, hundreds of HR Tech start-ups will be whittled down to just a few finalists. Five lucky finalists pitched their solutions to a panel of judges and investors with PredictiveHire coming out on top. The competition was fierce as we went head-to-head with Crewmojo, Gradsift, Voop.Global and Referoo. We were delighted to come out on top! Thank you HR Tech for the opportunity and the wonderful prize. We look forward to using it!